As a result of reaching our first threshold, we are excited to announce our upcoming first intermediary closing and release of first funds. This will take place on Tuesday September 4th. All investments committed up until... want to read the full update? Click here. It is Madaster's mission to eliminate waste by providing materials with an identity. The Madaster Platform functions as a public, online library of materials in the built environment. It links the identity of materials to a location and registers this in a materials passport. Through the materials passport, materials keep their identities, changing every building into a depot of materials with a certain value. Madaster carefully focuses on privacy, security and continuity. The Madaster Impact Convertible bond is offered by a partnership between Anders Financieren and Symbid. It will be offered to the investor networks of both funding platforms. Investments will be processed via the Symbid platform. Potential investors should read this summary as an introduction to the information memorandum. Every decision to invest should be based on studying the full information memorandum, including the attachments. Issuing entity: Madaster Services B.V. The subscription period for this issuance is open from 19 June 2018 untill 1 March 2019. This extended subscription period has been chosen to be able to facilitate potential funding from professional investors like family offices, venture capitalists and corporates. The subscription period for the public campaign on the Symbid platform is as usual 30 days, with the possibility to extend this period in agreement with Anders Financieren and Symbid if deemed necessary. Integration of resource-related information based on multiple types of import data. Monetise residual value of materials and products: Madaster projects the future financial residual value of materials and products, allowing the Madaster user to monetise on this value via the integration with material & product market places. Creating Materials Passports for the construction sector allows a €2 trillion annual revenue industry to finally connect demand and supply of products and materials to be reused, remanufactured and recycled. 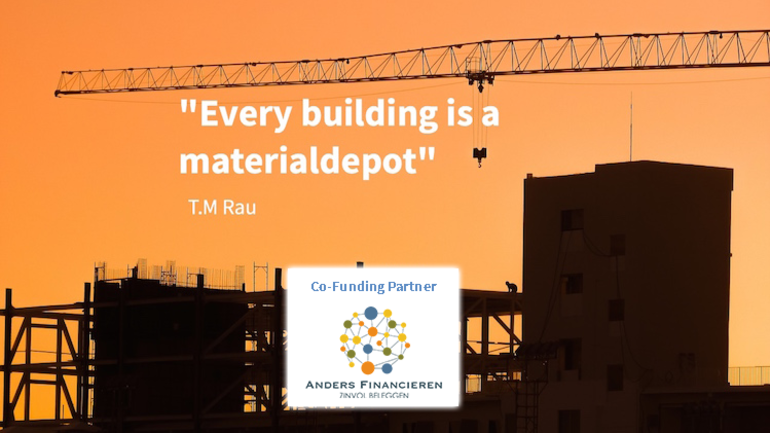 The Materials Passport for the construction sector, developed by Madaster, is the first market-ready solution which will disrupt the costs associated with management, construction and deconstruction of property, by creating value rather than being a cost. The business model of the Madaster platform is based on a yearly fee that users pay to register, maintain and download data through a data web service (the Madaster platform), much like a cadastre, but for materials. All subscriptions have a minimal duration of 1 year and are automatically extended on an annual basis. The price depends on the number of users and the total gross square meters of construction registered. Please refer to our website for the subscription plans. Madaster facilitates registration of multiple buildings per subscription. Importation (uploading) of data is done using several (industry standard) file formats. The initial targeted users of the Madaster Platform include designers (architects, installation & construction engineers), construction companies, real-estate owners and construction product suppliers. As soon as the platform has gained sufficient coverage and momentum of these initial users in the Netherlands, the focus will be expanded to attract a customer base of novel business model pursuers that seek to create new markets and new services, using the Madaster platform. These include accountancy firms, insurance companies, real-estate controllers, marketplace-like creators that enable the buying and selling of materials, and future trading companies. Other industries that have already shown an interest in the Madaster Platform are the infrastructure industry and shipping industry. Madaster has already started with the development of a ‘learning environment’ for infrastructure objects. This initiative is being undertaken in collaboration with ‘Rijkswaterstaat’, ‘ProRail’ and ‘Alliander’ which together manage and coordinate the vast majority of infrastructure activities in the Netherlands. The shipping industry (and other industries) will be addressed when the platform is fully developed and sufficient funds are available. Internationally, the Materials Passport will be implemented in Europe first, with the confirmation that other countries are ready to adopt the Materials Passport as well (initial interest has already been shown by firms and government agencies in Belgium, Switzerland, Portugal, Canada, Dubai, China and Singapore). Parties that have already committed an interest in Materials Passports include major players like Mitsubishi, ING, Volker Wessels, TBI, Schiphol Group, Redevco, ABN Amro and Rabobank. Madaster Kennedy’s anniversary in May 2018. Madaster wins Digital Top 50 Award by Google, McKinsey and Rocket Internet in June 2018. Madaster is the centre of an eco-system of (circular) business models to allow materials to flow through the economy indefinitely in cycles. Consider the connection of, for example, (public) data sources and market places. Ad d. Integration with partners will be less wide, limiting the strength of our eco system. The number of Service partners and Solution partners will be limited to a maximum of 10. Ad b. The lobby exercise to influence and co-create and subsequently the effort spend to align to the Materal Passports requirements, as to be defined by the Dutch government, will be an extensive campaign. This campaign will allow Madaster (together with the Madaster Kennedy’s) to drive the discussion and co create the outcome. As such, our chances of becoming the market standards are substantially increased. Ad d. Integration with partners will be wide and therefor will our eco system will be of great customer value. The number of Service partners and Solution partners will cover at least 25 parties. Parties will at least cover one or multiple market places and one or multiple buidling maintenance software packages. In addition to the above, the organisation will be able to grow with the required pace and with the required team size to be able to 1. support our clients at the service level they want us to, and 2. realise the organisational maturity to allow for proper stability and control. Ad b. The lobby exercise to influence and co-create and subsequently the effort spend to align to the Material sPassports requirements, as to be defined by the Dutch government, will be an extensive campaign. This campaign will allow Madaster (together with the Madaster Kennedy’s) to drive the discussion and co create the outcome. As such, our chances of becoming the market standards are substantially increased. Ad d. Integration with partners will cover a wide set of parties and therefor our eco system will become of great customer value. The number of Service partners and Solution partners will cover at least 50 parties. The return will be single interest of 6% on the convertible bond. Next to that in case of conversion to certificates of shares there may be dividends and/ or increase in value in case of selling these certificates of shares. Risk of competition in markets where the issuing entity is active. Negative impact through changes in rules and regulations by political decisions. Performance of issuing entity is dependent upon functioning of board members. There is a risk the issuing entity may go bankrupt. Tax risks through changes in regulations, new regulations or political decisions. Madaster is developing an ICT platform which is a high risk project to undertake and also does involve significant risks to further develop where required to fullfill customer needs. The product of Madaster is not yet mature, thus market adoption rates could be less and therefor financial results can be lower than currently projected. The construction industry is traditionally adapting slower to changes and is known for lower adoption rates of innovations. The new calculation models for the Material Passport Madaster is developing are very complex and could potentially be not accepted by industry players. The international roll-out could potentially absorb significant resources from the still small organization. The lender agrees that its claims against the borrower under the convertible bond agreement used on the Symbid platform rank below all other, non-subordinated, claims against the Lender as referred to in Section 3:277.2 Dutch Civil Code (‘BW’). Borrower issues a (subordinated) convertible bond, which the lender can convert at a later stage to depository receipts to become a shareholder of the company. Lender expects an (exponential) growth of value of the company with the possibility to sell the depository receipts with a capital gain. However, in most situations, such capital gains do take more than an additional five years after conversion to be realized. In exchange for the possibility of a high return in case of a scenario of exponential growth of the value of the company, there is a risk the investment will be lost in case the company is not doing well. Early repayment: There is a risk of early redemption because the issuing entity may decide for early redemption before the end of the duration of the convertible bond. This means you receive interest over your investment for a shorter duration. In case the issuing entity decides to fully or partly early repayment, it has to pay a compensation over the part of the bond that was paid back early. This compensation equals 15% of the amount that was repaid early. Order of payment: Payment of returns will happen after payments to creditors and redemptions have been done. There is a risk that the issuing entity has inadequate liquid assets to pay the returns. This means that (a part of) your return can't be paid, if this occurs. In case of a bankruptcy, the following payments have priority over the payments of the returns of this convertible bond: Outstanding creditors and existing loans. This means that in case of a bankruptcy the return on the convertible bond cannot be paid. There is no formal secondary market for the convertible bonds, hence options for trading these convertible bonds are limited. It may be that there is no buyer in case you wish to sell your convertible bond(s). This means there is a risk you can't get your money on the desired moment and have to hold on to your investment or sell the convertible bond for a lower price. Repayment in cash of the convertible bond can only be on the initiative of the borrower, taking in consideration the subordinated status applicable to the convertible bond. Also the lender agrees conversion can take place early in certain circumstances resulting in lower or no conversion discounts. A conversion discount will not be applicable for lender in all conversion scenario's, this might have a negative impact on the financial return. Thomas has graduated from RWTH Aachen University (Germany) in Architecture. He has founded Turntoo, an advisory firm in circular business models, and Rau Architects, the leading circular architecture bureau in the Netherlands. Thomas is responsible for the execution of the first circular building and is (co)author of the book “Material Matters”. His leadership and network will benefit Madaster. Pablo studied Public Administration at the Erasmus University Rotterdam (The Netherlands) and previously worked for a healthcare organization and as a management consultant for Accenture. He founded a consultancy called Double Effect in 2003. The company was sold in 2013 to Synechron Inc. Pablo will use his extensive knowledge on business modelling and IT solutions to support Madaster. Martijn studied Business Administration at Nyenrode University (the Netherlands), specialising in Financial Management. He was (co)owner and Managing Director of Double Effect (acquired by Synechron in 2013). Martijn has a unique set of experience and skills of building and growing an international firm. 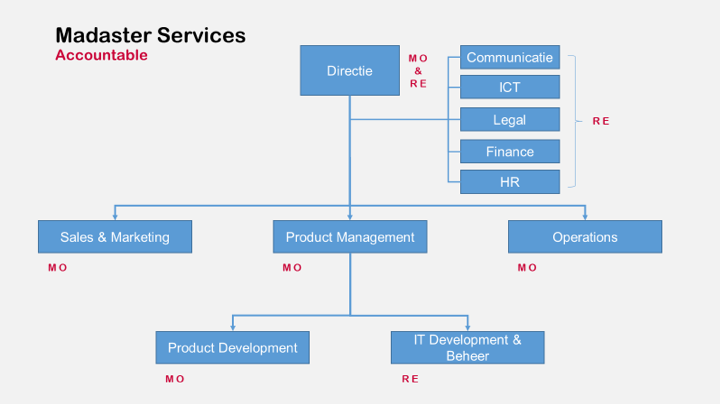 This skillset is used to define and execute the Madaster business strategy. Ronald is Managing Director of Madaster Services BV and CEO of Winvision BV. He has gained an MBA at the University of North Florida, with a specialization in investment banking. Ronald is a dynamic, competitive and internationally oriented leader and excellent team-builder. He has a no- nonsense attitude with significant experience in working in rapidly changing and evolving environments. Jeroen is one of two co-founders of Winvision BV. He is the Director of Innovation, and has been involved with Winvision BV since 2002. Jeroen has a background in commercial economics, and has gained experience in executive positions for Getronics and Wang Global (both IT firms). He is known for his analytical skills, executive team leadership and as a strategic partner. Marijn has graduated from the Technical University in Delft (the Netherlands) in Architecture. 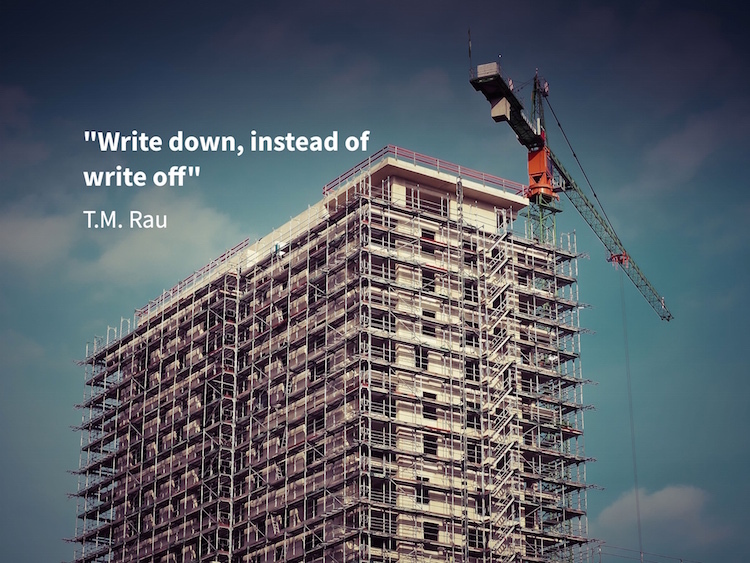 He has been working for Rau Architects since 1994. He has designed over 30 circular buildings (or inspired by circular design) in the Netherlands. He will provide technical know-how on construction files and how to interpret and extract useful data from these files. Madaster Services B.V. is a Besloten Vennootschap (BV) incorporated on 17 February 2017 and located in Utrecht. Chamber of Commerce: 68120311. The address of Madaster Services BV is Newtonlaan 115, 3584 BH Utrecht. The issuing entity is managed by Martijn Oostenrijk en Ronald Eleveld. 2. generate working capital for the development of the Madaster concept. Four additional shareholders have joined on a later date and, according to the original idea, have 5% of the shares. These shareholders act purely in the role of investor and are not or only on request involved in day-to-day operations. The daily management of Madaster is in the hands of a two-person management, consisting of Martijn Oostenrijk (MO) and Ronald Eleveld (RE). They manage the daily operation and are ultimately responsible for the result. The functions are divided according to the structure below. The employment within Madaster Services BV is anticipated to be growing with 6 employees within the 3 years which will result in a staff of 10. 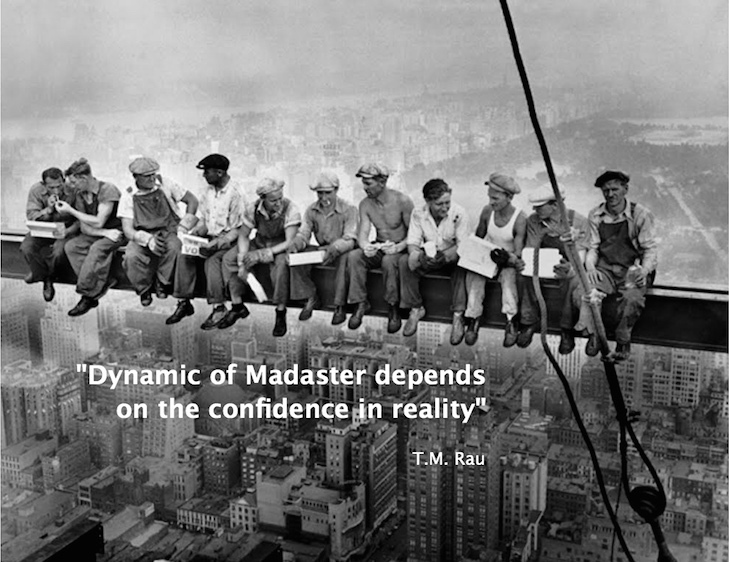 In addition, Madaster works with a flexibel IT development workforce and hires a team of approximately 10 FTE. To be able to make the inevitable change in our current economy towards a circular economy, Madaster has developed a uniquely innovative, disruptive online platform that gathers resource-related information of all parts of a construction and enables the generation of digital Materials Passports for the documentation of these materials. It is Madaster's mission to eliminate waste by providing materials with an identity. The Madaster Platform functions as a public, online library of materials in the built environment. Through the Materials Passport, materials keep their identities, changing every building into a depot of materials with a certain value. A Materials Passport gives insight into the materials used to create a building, and into their quantities. Additionally, the passport contains information on the quality of materials, their locations, and their monetary and circular value (Madaster Circularity Indicator). This way, it becomes a lot easier to reuse materials, minimize waste, and to reduce the cost of material consumption. Improved insight into the use of materials will stimulate the circular economy, and will lead to better design solutions. Madaster is an independent platform with access for everyone: from private individuals, to companies, governments, and scientific organisations. In this capacity, Madaster is part of an ecosystem of initiatives and innovations that facilitate the transition to a circular economy. The Madaster Platform consists of a cloud solution where users can upload several files containing information on their construction object, and download its Materials Passport as well use data services. The Madaster Platform consists of graphical user interfaces, analysis tools, processing capacity, data storage solution and data upload and download solutions and services. In order to generate Materials Passports, the platform will have to use algorithms and rule engines to extract the useful information from the uploaded files, and combine this data to form a standardized output, namely the Materials Passport. The platform is designed to be able to automatically extract information from several different file-types, including Building Information Modelling (BIM)-files (used by architects and construction companies to design and build buildings), XLS-files and CSV-files. The usage of these commonly used automated files, increase the acceptance, usability and efficiency of the system for its users. BIM- files are like digital blueprints for construction objects and are becoming the standard file format for building, renovating and deconstruction of objects. In the future, the platform will be able to import and extract useful information from more unstructured data, such as photos and PDF files. To facilitate the usability for users to download data directly from the Madaster platform (not using the standardized Materials Passport), an Application Programming Interface (API) data service is created where users can extract data for usage in their ICT-solutions. The idea behind creating such an open-standard API is to boost other businesses that aim to help in the transition towards a fully circular economy. The business model of the Madaster platform is based on a yearly fee that users pay to register, maintain and download data through a data web service (the Madaster platform), much like a cadastre, but for materials. All subscriptions have a minimal duration of 1 year and are automatically extended on an annual basis. The price depends on the number of user and the total gross square meters of construction registered. Please refer to our website for the subscription plans. Other industries that have also shown an interest in the Madaster Platform are the infrastructure industry and shipping industry. Madaster has already started with the development of a ‘learning environment’ for infrastructure objects. This initiative is being undertaken in collaboration with ‘Rijkswaterstaat’, ‘ProRail’ and ‘Alliander’ which together manage and coordinate the vast majority of infrastructure activities in the Netherlands. The shipping industry (and other industries) will be addressed when the platform is fully developed and sufficient funds are available. Internationally, the Materials Passport will be implemented in Europe first, with the confirmation that other countries are ready to adopt the Materials Passport as well (initial interest has already been shown by firms and government agencies in Belgium, Switzerland, Portugal, Canada, Dubai, China and Singapore). Parties that have already committed an interest in Material Passports include Mitsubishi, ING, Volker Wessels, TBI, Schiphol Group, Redevco, ABN Amro and Rabobank. The Madaster Platform aims to have 50% of all new buildings build in 2025 to get a Materials Passport. In total, 5% of all constructed buildings are aimed to have a Materials Passport by this time. This will deliver the consortium a cumulative €560 million of revenue over the first 5-years after full market introduction (2020- 2025). The Materials Passport will be implemented in Europe first, with the expectation that other countries are ready to adopt the Materials Passport as well (first interest has already been shown by firms and government agencies in Canada, Dubai, China and Singapore). Parties that have already shown interest in Materials Passports include major players like Volker Wessels, TBI, Schiphol Group, Redevco, Rabobank, ING, ABN Amro and the Triodos Bank. Further industries that have also shown interest in the Madaster Platform are the shipping industry and infrastructure industry. These industries will be addressed when the platform for Real Estate is fully developed. Generate Financial valuation of materials in recycling scenario. For the currently available functionality please refer to our website. We have a 3 phase development plan for the coming 5 years, more specifically. d. Madaster is the center of an eco system of (circular) business models to allow materials to flow through the economy indefinitely in cycles. Consider the connection of, for example, (public) data sources and market places. d. With the register of applied products and materials, Madaster unlocks the real estate and infrastructure sector for the benefit of the circular economy. ii. A systematic approach and collaboration (facilitating via an open platform). The ambitions of Madaster have been translated into 3 investment programs. The main program IT Development Madaster Real Estate is running. This program is seen as an independent business case. The expansion with the activities for Infrastructure and the roll-out internationally are independent investment decisions with their own business case. These follow-up steps will be taken after the financing capacity of Madaster is sufficiently strong to also adequately finance this business case.complete list of parties committed to Madaster). Future developments to the ICT platform are scheduled in detail for the coming year and released on a three week basis. For detail on our short term development roadmap please refer to our website via this link. The users of the Madaster platform can be divided into two groups: primary users and secondary users. Primary users make up a group that can immediately benefit from the Materials Passport from its launch. These users include real estate asset managers (building owners), construction companies, infrastructure builders, real estate controllers and government agencies. Primary users are using the Materials Passports to gain insights into their construction, from both a circular as a financial view. This allows them to assess their property, including the circular value of the products and materials in their constructions, and to re-evaluate their rest value upon deconstruction. Furthermore, these users can compare the Materials Passports of their constructions and buildings against other Materials Passports, allowing them to assess their circular value and to calculate investments in intelligent circular and modular design of future projects. Primary users are also incentivised by both national and European policy to include circular material use in their present and future construction projects. The Materials Passports offer them a means to quantify their efforts to adhere to these policies. Secondary users are a group that gains value from the Madaster platform database. The group of secondary users can include insurance companies, online marketplace creators and future trading companies. This group can use the Madaster platform to create their own business propositions to enhance the circular economy. This includes the potential to create an entirely marketplace offering reused, remanufactured and recycled materials based on the Materials Passport, as this will be the central database containing information on buildings as material depots. Furthermore, the value of materials can be used to gain intelligence on future values of construction materials, allowing the financial market to speculate on these values through e.g. call and put options. The Materials Passport will be the first platform that brings together the demand and supply chain in reuse and repurposing of building materials. The focus of the consortium is firstly aimed at primary users that gain direct value from the Material Passport. However, over time, it is deemed the group of secondary users will increase to match the group of primary users. It is therefore important to create a platform that is suited to provide value to both primary and secondary users. The reuse, remanufacture and recycling industry is vastly growing in Europe as they are supplying ever increasing value when compared to raw-material production, as the circular economy becomes more important to implement. One of the main aspects of the construction industry is the massive investments and revenues of the industry, with over €2 trillion annually (source: Bureau, U.C. Construction Spending). The real-estate sector is one of the most capital intensive industries, where even minor innovations can lead to great effects due to the sheer volume of the industry. The construction sector (and many other industries) is /are greatly affected by the uprising of the circular economy. This can be due to the government policies as well as due to intrinsic consumer choices. The construction sector is strongly formed by the EU Waste Directive (2008/98/EC) that aims to achieve a reuse, remanufacture and recycling rate of over 70% by 2020. This strongly incentivises firms and government agencies to take action to implement circular business models in the construction sector. However, they are often hindered by the lack of a central information supply that can connect demand and supply of used construction products and materials. The market potential outside Europe is foreseen to be enormous. First interest has already been shown by firms and government agencies in Canada, Dubai, China and Singapore. Other industries that have also shown interest in the Madaster Platform are the shipping industry and industry for consumer and industrial goods. These regions and industries can be addressed when the platform for Real Estate in Europe is fully developed or in case the opportunity cannot be ignored. Despite the obvious advantages of materials passport creation and use, there are only several materials passport initiatives throughout Europe. Two initiatives are focused on the construction sector: the BAMB project and the Madaster platform. The BAMB project is focused on using BIM-files as a standard within the European construction sector, gaining experience with concrete pilot projects around Europe. Besides the BAMB initiative, various local business initiatives have started to create materials passports or to gather data about construction and building information that can lead to the creation of materials passports. The explicit focus on independent (data) governance and global ambition distinguishes the Madaster initiative. With the support of the existing (Kennedy) network, the Madaster platform is uniquely positioned in commercialising the Material Passports for the construction sector. Should other initiatives try to achieve commercialisation of material passports in the construction sector, they will have to overcome increased barriers to the market, as the consortium aims to take advantage of its first mover advantage by locking in its market position (e.g. through its strong connection with a wide network of important construction sector players). Smaller to larger real estate owners, in total around 100 current customers. Also banks, construction companies and architects are making use of the platform already. W/E adviseurs - John Mak: "We denken dat het echt een verandering gaat betekenen in de bouw- en vastgoedwereld". ING - Joost van Dun (Circular Economy Lead):"Madaster is een geweldige oplossing om gebouwen te kunnen tracken en monitoren, uit welke componenten het bestaat en hoe de waarde hiervan is bepaald". The users of the Madaster platform can be divided into two groups: primary users and secondary users. Primary users make up a group that can immediately benefit from the Materials Passport from its launch. These users include designers (architects, installation & construction engineers), construction companies, real-estate owners, real estate controllers and construction product suppliers. Primary users are using the Madaster platform to gain insights into their construction, from both a circular as a financial view. This allows them to assess their property and its cost of use, including the circular value of the products and materials in their constructions, and to re-evaluate their rest value upon renovation / transformation / deconstruction. Furthermore, these users can compare the Materials Passports of their constructions and buildings against other Materials Passports, allowing them to assess their circular value and to calculate investments in intelligent circular and modular design of future projects. Primary users are also incentivised by both national and European policy to include circular material use in their present and future construction projects. The Madaster platform and its Materials Passports offer them a means to quantify their efforts to adhere to these policies. Secondary users are a group that gains value from the Madaster platform database. The group of secondary users can include banks, insurance companies, online marketplace creators and future trading companies. This group can use the Madaster platform to create their own business propositions to enhance the circular economy. This includes the potential to create an entirely marketplace offering reused, remanufactured and recycled materials based on the Materials Passport, as this will be the central database containing information on buildings as material depots. Furthermore, the value of materials can be used to gain intelligence on future values of construction materials, allowing the financial market to speculate on these values through e.g. call and put options. 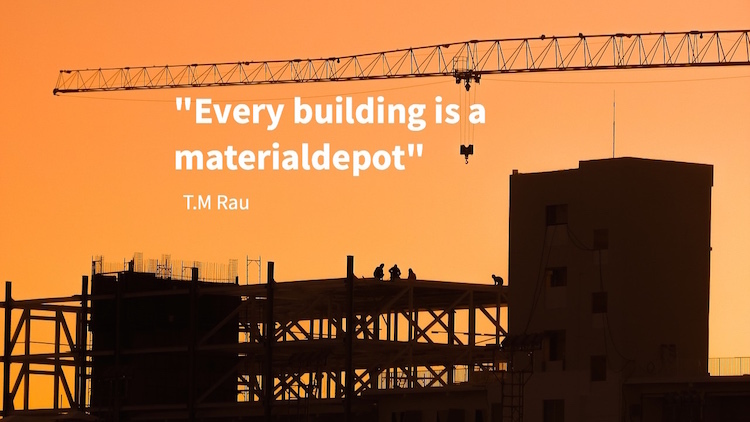 The Materials Passport will be the first platform that brings together the demand and supply chain in reuse and repurposing of building materials. Set up and roll out of an indirect Go to Market model. In this model Madaster cooperates with Service partner, Solution partner and Data partners to optimise the user value of Madaster. Madaster has an indirect Go to Market model. Our strategy is to enable and empower partners to incorporate Madaster in their own business model and to stimulate their customers to use Madaster. Services Partners: these partners offer services related to and on on top of the Madaster offering. Examples of these services are 1. generating BIM models, 2. providing advice or training or 3. certification services, etc. Data Partners: these partners add value to the Madaster users by enriching the Madaster data and increasing data reliability. There is a lot of Open data (also Closed data) available, like LCA, Product information etc., to enrich the information of Madaster users. Our partners will scale Madaster to get a proper reach in the marketplace and also offer specific knowledge on the different market segments we aim to penetrate. Partners will be rewarded for these activities by a proper rewarding/incentive model. 2. A dedicated Account manager (1 FTE). Although we have an indirect Go to Market model this person approaches the enterprise and complex customer cases directly in case desired. For these activities this person will involve partners to do the work that is needed. 4. A part time marketing resource, mainly focussing on events (Kennedy’s, Experts, expo’s, Seminars etc. ), social media and newsletters. The issuing entity is active since 17 February 2017. The following financial information is the most recent information available. The balance sheet date of this information is 31 December 2017. Total debt is €400.000 and consists of 4 shareholder loans of €100.000 each. The following information is about the situation after issuance of the securities offered in this investment round. After the issuance of the convertible bond the working capital will be, with the minimum target amount of €500.000, €304.955 and with a maximum target amount of €2.500.000 this will be €2.304.955. In 2018 €200.000 of the loan provided by shareholders has been repaid. The remainder of the amount is planned to be repaid after the receipt of the second tranche of the EU subsidy. In 2018 additional paid in capital of €433.000 was realized in equity. The equity/debt ratio is 50/50. After the issuance of convertible bond with the minimum target of €500.000 this ratio equals 40/60. After the issuance of the convertible bond with the maximum amount of €2.500.000 this ratio will be 21/79. The issuing entity has provided no securities to the investors in the convertible bond. A substantial amount of the capital will be invested in the development and maintenance of the ICT platform, resulting in a highly capital intensive business. This does represent a significant potential value, especially once the demand for the Madaster services are growing. The expectations are the demand for the Madaster services will be growing, potentially with additional regulation as a driving force of this growth. The Madaster Platform has been launched in a MVP version in September 2017. The development of the Madaster Platform is for 50% completed, thus reducing the risks for the further development and completion of the Madaster Platform. Competition is limited to one local player and one European player which are focussing on other services and are assumed to lack the resources Madaster has available to market their services. Madaster has unique key stakeholders with whom commercial agreements are being explored or will be further explored in the near future. The revenue model of the Madaster services is based on a recurring subscription fee allowing highly predictable cash flows. Subscriptions have an annual term and will be paid in advance. Managing the timing of the cash in- and outflows from operations will however be limited. Packages of shares in Madaster Services BV are sold for a total consideration of €633.000. For the realization of the project Real Estate an investment of €5.800.000 is required over the next period. To finance these investments an amount of €2.700.000 has already been committed by the Madaster Foundation and EU subsidies. In addition a share package has been sold to one new shareholder willing to commit €330.000 in consideration. For the remainder of the amount between €2.500.000 and €3.000.000 a credit line with a bank of €500.000 has been requested in May 2018. By issuing this convertible bond Madaster aims to cover at least €500.000 of the total funding requirement in a minimum target amount scenario and at most €2.500.000 in a maximum target amount scenario. Other scenarios we are currently pursuing as part of our the financing strategy are potential subsidies and selling equity to strategic shareholders. Ad b. The lobby exercise to influence and co-create and subsequently the effort spend to align to the Materal Passports requirements, asto be defined by the Dutch government, will be an extensive campaign. This campaign will aloow Madaster (together with the Madaster Kennedy’s) to drive the discussion and co create the outcome. As such, our chances of becoming the market standards are substantially increased. Ad d. Integration with partners will be wide and therefor will our eco system will be of great customer value. The number of Service partners and Solution partners will cover at least 50 parties. The return will be single interest of 6% on the convertible bond. Next to that in case of conversion to certificates of shares there may be dividends and/ or increase in value in case of selling these shares or certificates of shares. The convertible bond becomes payable. The issuing entity issues equity to one or more third parties in one transaction for a total consideration of at least €1.000.000. One transaction is executed as a result of which one or more third parties will become a shareholder for more than 30% outstanding shares in the issuing entity. The initial or extended duration of the agreement will expire within a month. 15% if conversion occurs after 3 months but before 1 year after closing the this convertible bond. 20% if conversion occurs after 1 year but before 2 years after closing the this convertible bond. 30% if conversion occurs after 2 years after closing the this convertible bond. Only if conversion takes place within 3 months after issuance of the loan no discount will apply. The borrower will receive single interest for the duration of the convertible bond over the initial loan amount. This amount will not be paid but is accumulated to the initial invested amount and paid out when the loan will be repaid or converted to shares or certificates of shares. Redemption of the convertible bond can take place at the initiative of the issuing entity, at the end of the duration, and only of the issuing entity is capable of doing so. The return will not be paid from the investments of other investors. 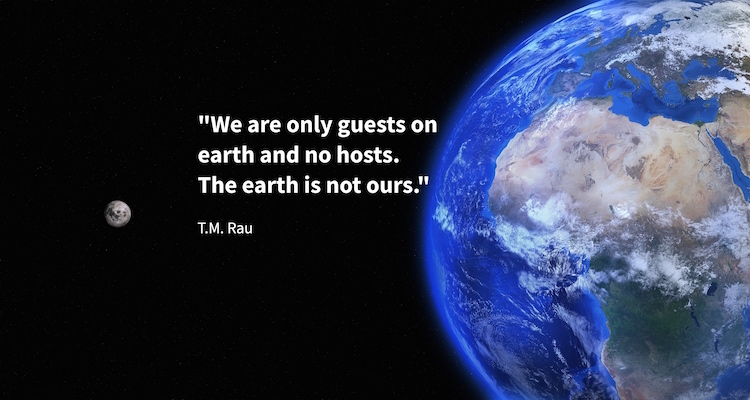 Next to the investors there are no other persons who receive income (other than "costs") from this investment. For an extensive explanation of the risks please have a look at the Risk section under "summary" at the top of this page. Since the most recently compiled and published Financial Statements of the issuing entity, no significant negative changes have occurred in the issuing entity’s prospects. Symbid Cooperation UA is a tied agent of the Limited company (Besloten Vennootschap), Ilfa Tools & Services B.V. as defined in the Dutch Act on Financial Supervision (Wet op het financieel toezicht (Wft)). Ilfa is an investment firm as defined in the Wft and has a license as defined in article 2:96 Wft. As a result hereof Symbid and Ilfa are both under supervision of the AFM. Intersolve EGI B.V: Symbid has a partnership with Intersolve - First European E-money Trust - a Dutch financial institution that specializes in providing services in the field of settlement of payment transactions and electronic money. In order to be able to offer its financial services in accordance with the applicable financial legislation and regulations, Intersolve has a license as Electronic Money Institution and Intersolve is supervised by De Nederlandsche Bank (DNB) plus the Netherlands Authority for the Financial Markets (AFM).